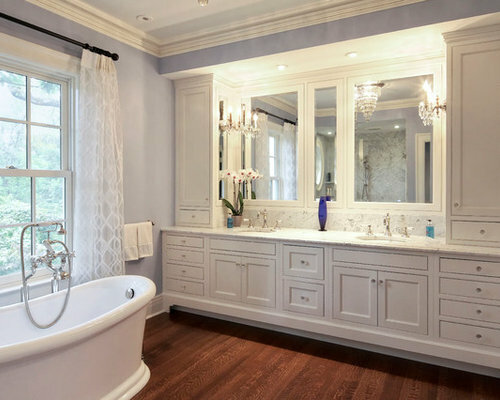 This dressing room, master bath restoration to an 1852 classical revival style home brings luxury and functionality to the homeowners. 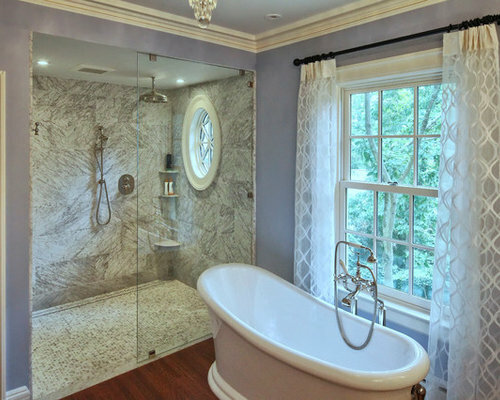 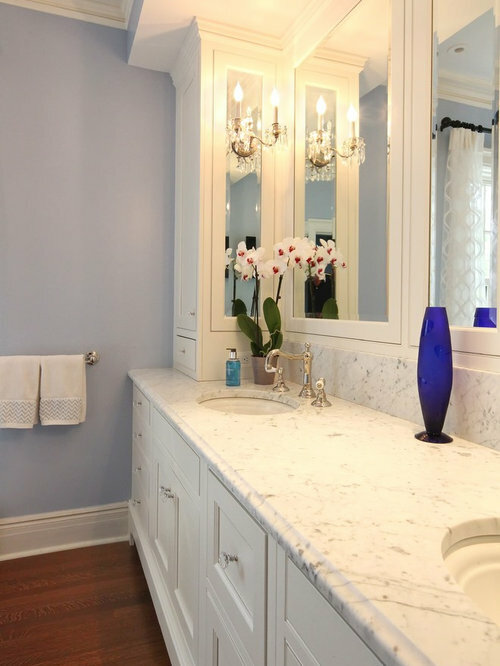 The master bath has an oversized marble shower with oval window (replicating historic oval window in the dressing room), pedestal tub and custom mirrored vanity cabinets with marble top. 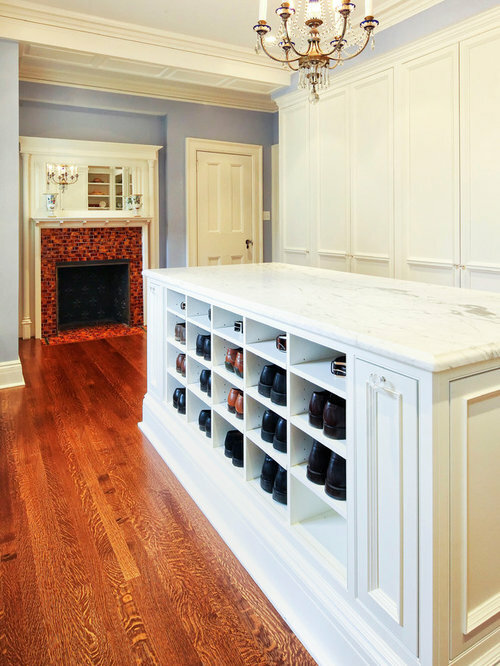 Dressing room has the original fireplace and mantel and features custom mirrored cabinetry, cubbies for shoes and belts, a slide out tie cabinet for him, as well as a walk in shoe closet for her. 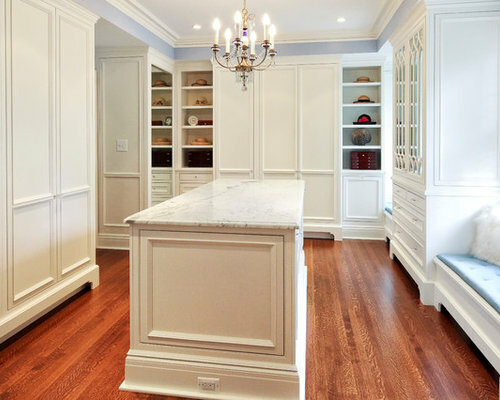 Floor to ceiling closets, drawers within the island and open shelving complete this masterful makeover. 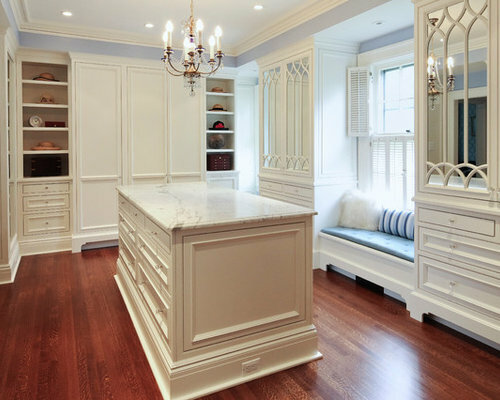 Luxurious dressing room with custon mirrored cabinetry and open shelving. 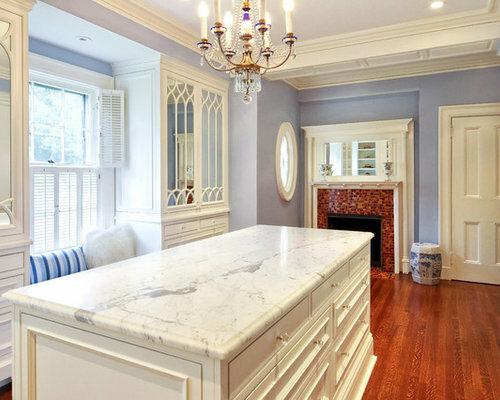 Photography by Pete Weigley.